In the Box: 4GB Zune Player, earphones with three earpiece covers, Zune sync cable. Specifications: 4GB flash memory, 1.8 inch color LCD screen, 320 x 240 screen resolution, 802.11b/g wireless connectivity, FM radio with RDS, dimensions 41.4 x 91.5 x 8.5 millimeters (1.62 x 3.60 x 0.334 inches), 48.2 grams (1.7 ounces). Zune Pass subscription allows for unlimited music downloads. Difficult to limit access to explicit content using Zune Pass. Microsoft's family of Zune players now includes smaller flash memory players with the full functionality of the larger, hard-drive players. The smallest of the bunch is the 4GB model. These small devices include wireless networking, video playback, and FM radio, just like their bigger brothers. The sound quality is good, even through the cheap earbuds included in the box. The Zune Pass subscription is a great value, allowing subscribers to download unlimited music for only $14.99 per month. The Zune Pass can be shared with three Zunes, allowing a family to enjoy as music as they like. The small 4GB Zune's screen has fantastic resolution, but the screen is too small to really enjoy watching videos. I have to admit, I've been rooting for the underdog Zune since its release in 2006. The Zune has battled through ridicule and the mighty iPod for almost 3 years, and is finally beginning to get some traction. Ours is a family of Zune users, and the latest addition to our arsenal is the 4GB flash model, in black. My 12 year old daughter, Carly, is using this tiny player as her music machine. As a hardware device, the 4GB Zune does its job nicely. It's small and light enough to slip into a pocket or backpack without too much heft, and has the capacity to carry along about 975 songs. Microsoft is trying to win the music player battle with software and services as much as hardware, and to that end, is offering subscription music to Zune users. For only $14.99 per month, Zune Pass subscribers can download unlimited music. The subscription can be shared with up to three Zunes which allows our family to all have as much music as we want while spending much less than what we had been paying while using iTunes. Of course, the subscription is like renting music, so we have to keep paying in order to keep the music playing. Since we aren't actually buying the tracks, we can delete songs we don't like without feeling guilty about throwing our money away. The smaller, flash based Zunes (available in 4GB, 8GB, and 16GB) have the full functionality of the larger hard-drive based Zunes. The player is dominated by the 1.8 inch LCD screen, has a "squircle" navigation pad and two buttons: play/pause and back. The "squircle" is a hybrid navigation device. It works as a touch pad like the one on your laptop, but it also is a tactile button that can be pressed in four directions as well as in the center. For those who prefer pushing buttons over rubbing them, the touch pad can be turned off, although the touch pad is very effective for browsing through large lists of songs. Simply brush the pad up or down, and the list scrolls smoothly. Brush multiple times to scroll faster. The Zune 4GB has a headphone jack on the bottom next to the interface jack, and has a lock button on top. While it is small and light, it still feels sturdy enough to survive living in a sixth grader's backpack. The screen is tough and resists scratching, and unlike iPods, the back of the device resists fingerprints and scratching as well. Even after my daughter has been using the Zune several months, it still looks brand new. Using the Zune is a very pleasant experience. The home screen background can be customized using any photo you like. Large menu items dominate the home screen. From here you can select Music, Videos, Pictures, Social, Radio, Podcasts, Audiobooks, Marketplace, Games and Settings. Selecting an item engages the Zune's "twist" interface. In Music, navigate left and right to choose between Artists, Albums, Songs, Genres and Playlists. Navigate up and down to scroll through the list of items. The Zune's interface is much more intuitive than the iPod, and the animations are gorgeous. The Zune includes a fairly cheap pair of earbuds, but the sound quality is good, even though the player lacks EQ. Though the Zune 4GB can play videos, the screen is too small to really enjoy them. However, with the smaller screen and resolution of 320 x 240, video and photo quality is great. Images seem to jump out of the screen. A few simple games are included with the Zune, and presumably more are on the way. One differentiator of the Zune is the wireless networking. The Zune can wirelessly connect to other Zunes in order to share songs. It can also connect to the Zune Marketplace, allowing the user to search for and download songs via WiFi. The Zune can also sync to its host computer wirelessly. It can search for and connect to wireless networks, but only if the network does not require a browser to connect. Connection to the computer comes via USB using the proprietary Zune connection cable. Plug the player in, and the Zune desktop software launches automatically and performs a sync. When using a Zune Pass subscription, syncing should be done at least weekly to allow subscription songs to keep playing. If you cancel your subscription, or if the Zune hasn't been synced in a while, the songs will "expire," preventing you from playing them. The desktop software allows you to manage your collection of music, pictures, videos and podcasts. Audiobooks and games aren't natively managed through the Zune software. The software is made to be easy to use for anybody, and the interface is elegant and intuitive. It includes some fancy display features that require a stronger machine to run efficiently. Those features can be disabled if the software isn't snappy enough for you. The Zune Marketplace offers millions of music tracks, TV shows, audio and video podcasts. Unfortunately, Microsoft does not have agreements with all artists and record labels to allow for subscription downloads of their music. While most music in the Marketplace can be downloaded via the Zune Pass subscription, some music requires purchase. But that's where the Zune Pass really earns its stripes. Not only does the Zune Pass allow unlimited downloads of subscription music, it also allows you to "buy" up to 10 tracks per month for free. These 10 tracks can be DRM free, allowing you to keep them, burn them, or play them on any other media player. Couple that with the ability to share the Zune Pass between three Zunes, and the value of the subscription becomes apparent. The Zune Pass is a great way for families to enjoy all kinds of music. In our case, my wife, my daughter and I all share a Zune Pass allowing us to download any music we like to our respective Zune players. We can keep 10 tracks per month, and we only pay $14.99 per month. It's not all rosy for the family of music lovers, however. Though Microsoft boasts about its "parental controls," these features are seriously lacking in Zune. I can set up a "child account" which allows me to limit access to explicit content in the Zune Marketplace. But doing so requires a separate Zune Pass subscription. (Since the subscription can only be shared between three Zunes, we've added another subscription for my son's Zune. I've turned on the parental controls for his account.) Since my daughter is sharing my subscription, she has to log into Zune using my Windows Live account. This gives her full access to all explicit content. There is no way for me to limit access to explicit content on my own account. My daughter has to download music using the honor system, and I must monitor her downloads to keep unwanted content off our computer. One other annoyance regarding the parental controls: I can't control my child's account from my own Zune account. In order to manage my son's account, I have to log out of my account, sign in using his account and then select "Parental Controls," which then requires me to log into my own account again. Microsoft really needs to rethink how it's implemented its family controls. In iTunes, I can simply elect to limit access to explicit content on my account. Zune needs to adopt this "checkbox" approach. 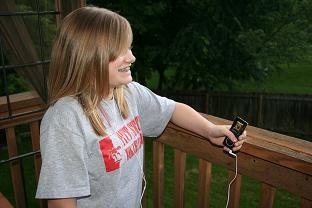 Figure 1: Carly enjoys her Zune, even if all her friends are sporting iPods. The Zune is a worthy iPod competitor. Of course, the iPod dominates the market so much that it is difficult to find Zunes out in the wild. But its set of rich features including wireless networking and a vibrant screen make it a joy to use. The Zune Pass is great for music lovers, especially those who enjoy trying out new music. The 10 free tracks per month and the ability to share a subscription make the Zune Pass a great value. 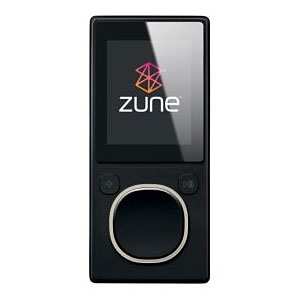 Unless Zune starts to gain a stronger hold on the market, accessories will continue to be difficult to find. For our family, though, the Zune fits the bill. Ron Hostetter is a software sales engineer by day, a gadget lover by night. He has worked in the IT field for over 20 years and loves reading about and playing with technology. He lives in Kansas City, Missouri with his lovely wife, his son and daughter, and their two dogs. He enjoys playing guitar and watching the Kansas City Royals, both of which he finds very frustrating.